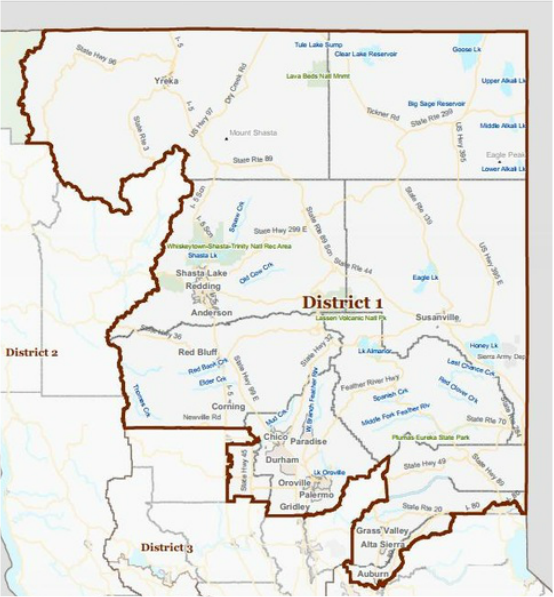 Republican Doug LaMalfa currently represents Congressional District 1. La Malfa is expected to easily win re-election in 2016. Doug is a strong voice for the North State’s agriculture and resources based economy and for the first district’s farms and businesses. A conservative leader, Doug LaMalfa has opposed increasing taxes and is a stalwart defender of California’s Proposition 13. With a proven record of fighting on behalf of working families, Doug believes that taxpayers know better than bureaucrats and politicians how to spend and invest their own hard-earned money. Water is the North State’s most precious natural resource and Doug LaMalfa believes in protecting our water rights and developing more water storage. He has continually advocated for increasing California’s water supply, supporting planned projects such as Sites Reservoir and the Auburn Dam. Doug has been a leader in opposing burdensome environmental regulations that place fairy shrimp and fish ahead of human needs. Agriculture and Forestry have been the backbone of northern California’s economy for generations and Doug LaMalfa has made it a priority to educate his fellow Representatives on the importance of resource industries and the beneficial stewardship they provide. Doug successfully authored and passed California’s Forest Fire Protection Act of 2004 to allow landowners to make their rural lands fire-safe. Doug LaMalfa’s firm beliefs are that government should do no harm and that limited government means government should do only what people cannot do for themselves, in the most efficient manner possible.